^ 周定国. 世界地名翻译大辞典. 中国对外翻译出版公司. 2008: 1116. ISBN 978-7-5001-0753-8. ^ Decree Creates Three New Provinces. 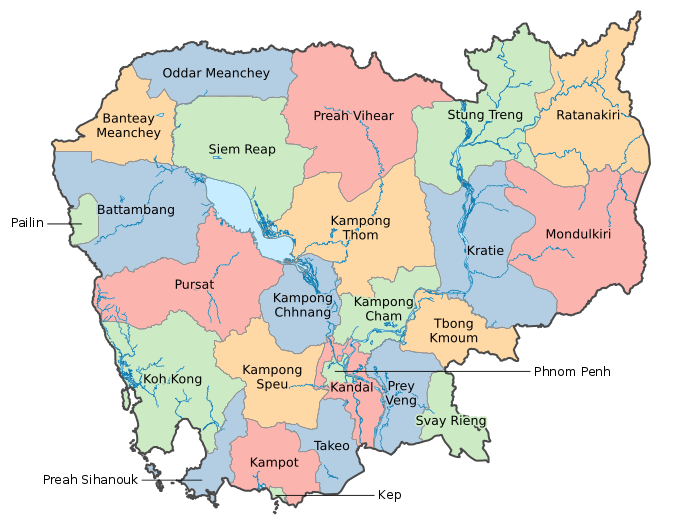 ^ Kampong Cham's great divide. 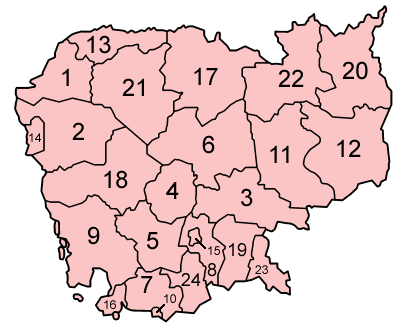 ^ Cambodia to Create Two New Provinces in Bid for ‘Efficiency’. Voice of America. 31 August 2018 [5 September 2018].